You need to read Part 2 - Simple Visualization before you read this tutorial. In the previous part of this tutorial series (which is a required must-read for this part) you’ve learned to create a simple visualization, that doesn’t need access to data from Elasticsearch. In this part we will write another plugin, that uses aggregations (like most of the visualizations) to access data from Elasticsearch. We will create a very simple tag cloud plugin, that shows the bucket name as a label and the result of the metrics aggregation determines the fontsize of the tag. 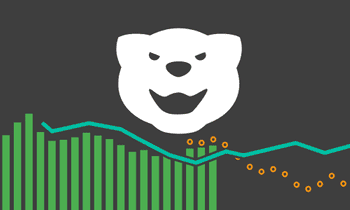 If you are feeling unfamiliar with bucket and metrics aggregations have a look at my Kibana 4 Visualize tutorial. We will use the name tr-k4p-tagcloud throughout this tutorial. You have to replace it with your appropriate unique plugin name. First of all you should of course think what data you want to visualize in what way. This means, you should now what kind of bucket and metrics aggregation will result in what visualization. 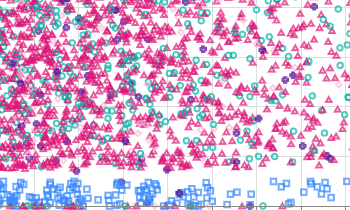 We keep our visualization very simple and allow exactly one bucket and one metric aggregation. The bucket aggregation will determine which tags will be shown (each bucket will result in one tag). The metrics aggregation will result in the font size of the tag of each bucket, i.e. the higher the metric aggregations result the larger the bucket tag will be shown. It is important for you to think about how many metrics or bucket aggregations you want to visualize and if you can nest aggregations, etc. You will need to define this later in your plugin. We leave out the define() block (AMD module definition) around the plugin. As mentioned in the previous part, this is not needed anymore due to bundeling with webpack. That also means, you don’t return the provider function anymore inside the module. We leave out the requiresSearch: false in the definition of the visualization. Our tagcloud will use data from Elasticsearch, so you should be able to link it to a search like all other visualizations that consume data. Since requiresSearch: true is the default value we can just leave the key. You will need to create the public/tagcloud.html file, but can leave it empty for now. You can find the first step in tag 0.1.0 in the GitHub project. group - either “metrics” or “buckets”. Will define, which kind of aggregation you want to describe in this object. name - the name (id) of this aggregation. You can use this later to get a reference to the different aggregations again. min/max - the number of minimum and maximum aggregations of that type, a user can add. E.g. the vertical bar chart has a bucket aggregation for “Split Bars”. It is not limited (i.e. no max value specified) since it can split the bar as many times as the user wishes. In our case we only allow 1 aggregation of each type, due to the way our visualization works. aggFilter - a filter on which aggregations should be allowed. It is an array of either aggregation types (see below), that are allowed in this place (as shown in our metrics aggregation) or an array of aggregation types forbidden (each must be prefixed with a bang). In the later case all other aggregations are allowed. If the array has only one element you can also specify it as a string (as shown in the bucket aggregation). There are some more keys you can specify in the aggregation, which we won’t cover in this tutorial. If you load this plugin inside Kibana you should now be able to chose aggregations as you described, when creating a new visualization of your type. You can find the sources of this step in tag 0.2.0 on GitHub. Now we have an empty controller, that will be loaded for our visualization. There are two variables inherited into your angular scope, that you will need. One is the vis variable, already seen in the last part of the series, which holds information about your visualization and the settings the user chose. The other variable is named esResponse and holds the Elasticsearch response for your visualization. 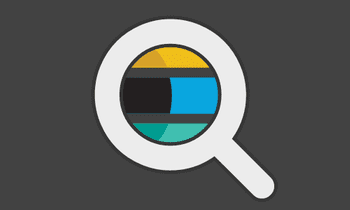 Kibana will automatically query Elasticsearch with the aggregations set by the user and taking into account currently set queries and filters. To visualize our data we need to match the response data with the user configuration for our widget. To access the result of the aggregations we can look into $scope.esResponse.aggregations. To find aggregations in that object we need their ids. To find the ids for a specific aggregation we can use several methods of $scope.vis.aggs to find the id. The bySchemaName object contains a mapping of the names (that you have specified in your schema) to the aggregation configuration. Accessing the tags key will give us an array of all the aggregation configurations the user has entered for tags. Since we have set min and max to 1, we know, that there is only one object and can retrieve its id. We can use that id to lookup the results in esResponse. You can find the full version (with some CSS added) in 0.3.0 in the repository. To access data inside a bucket you can use the getValue method on the aggregation object. In general there are some more methods, that might become useful in more complex visualizations (e.g. you could also get the key of a bucket, by using the aggregation object’s getKey method). 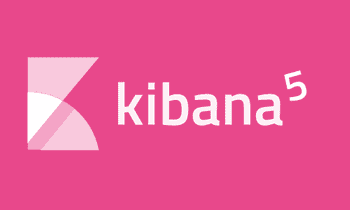 To find out these methods, you will need to wait for some official plugin development documentation, grep the Kibana source code or (what often works best) setting yourself breakpoints during development and just inspect the objects in your browsers dev tools. The last feature we would like to add to our tag cloud is filtering. If the user clicks on a tag, a filter for that value should be automatically added to the dashboard. You can find this last step of the plugin in version 0.5.0 on GitHub. Now you are able to write your first visualization, that consumes data from Elasticsearch. If you write your visualization always keep in mind, what schemas you really can visualize and make sure you only allow schemas, that you actually also check for in your code. So if you allow multiple bucket aggregations, make sure to visualize every bucket, you will get from $scope.vis.aggs.bySchemaName['foobar'] and not just the first one, as we did.